Our team of experts can handle your entire ongoing plumbing & heating maintenance requirements to ensure you are always fully up to to date with legal obligations and your tenants are safe. Hometech provide a comprehensive range of landlord services to ensure you keep your tenants safe and meet all your legal obligations and responsibilities. Our team have extensive experience working in numerous properties to ensure they are safe and up to legal standards, carrying out thorough work in an efficient manner. 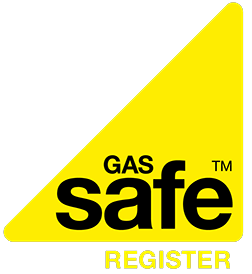 Our Gas Safe registered engineers have extensive experience in this area of work and are more than capable of carry out the necessary thorough checks in one or several of your properties. From only £2.50 per appliance we can test appliances in all of your properties whilst causing minimal disruption. Our team work efficiently to ensure the process is completed quickly to a high standard. Supplied and fitted from £90. It is important that you fulfil your responsibilities as a landlord and make sure your tenants are kept safe with smoke alarms and carbon dioxide alarms. As a legal duty for landlords providing residential accommodation it is important to have assessment and control of Legionella exposure risks carried out. In working with Hometech you are assured a fantastic service in every respect. Our team works quickly and efficiently while maintaining high standards of workmanship and minimising disruption. Contact us today to discuss your requirements and see how much we can do for you at industry leading prices.